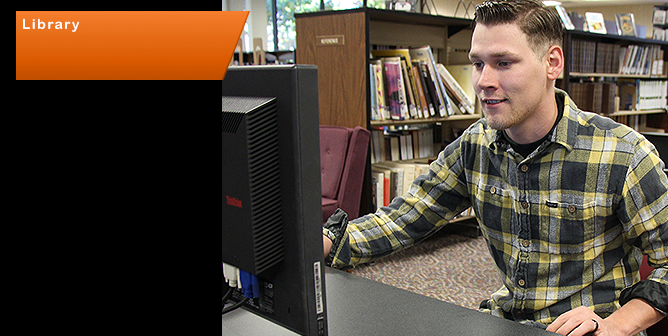 Hours and Staff InformationRenn Memorial Library houses more than 26,000 print volumes and offers valuable electronic library resources (E-Library). The library’s collection includes informational databases, print resources, daily newspapers, popular and professional periodicals, scientific journals, microfilm, and more. Materials are also available through interlibrary loan. Online Card CatalogIn addition to an on-line card catalog and video resources listings (for instructors), the E-Library Portal includes links to select and public Internet sites that offer research informational and materials resources. Other student services include access to the Internet, Microsoft Office Applications, scanner, photocopier, and microfilm reader/printer. E-Library PortalAlthough Cowley College’s library is located on the main campus in Arkansas City, students from all of Cowley’s campuses, centers, and outreach programs have equal access to the E-Library’s resources and research databases. Click here to enter the E-Library's Portal.